Most of my quilt sketches start here! 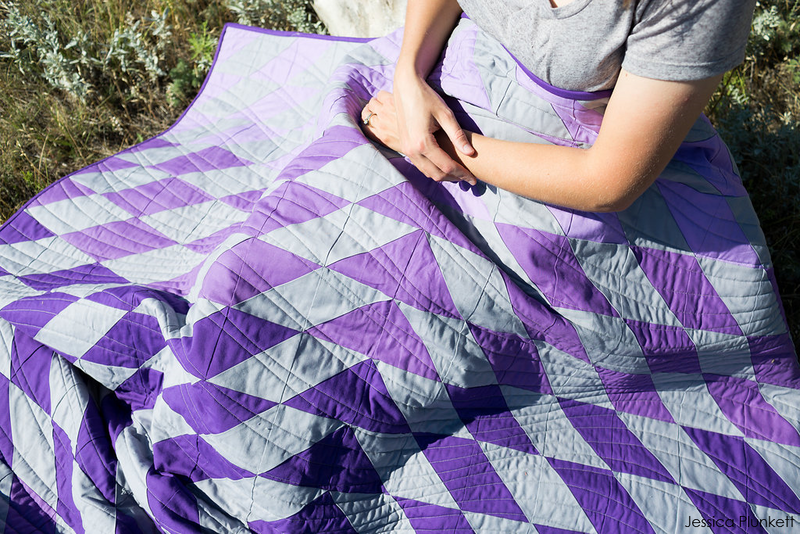 Everyone’s approach to designing a quilt is as unique as their designs. Where does a designer draw inspiration? How does a designer document that inspiration? What design tools do they use? Here’s a look at my evolving quilt design process. I feel like I draw inspiration from everything around me and I’m sure that it’s a larger influence than I even realize. But specifically, I draw inspiration from several things, including fashion, branding and personal memories. While my personal fashion is pretty bland (I would wear all black and grey every day if I could and it’s simply because I like the colors), I really like Aztec-inspired fashion design. I am a huge fan of half square triangles (am I alone in this?!) and that’s a common element in this design. I also like to look at product packaging. I think fresh brand design concepts and simple marketing design elements are appealing. No one brand draws in my eye. I think part of the reason is that we’re inundated with visual branding all day, every day. I don’t really have time to study just one brand, but instead let me eye draw me toward a design I like. I tend to like very simple design, but think that elements that are extremely thick catch my attention (think of thickness of a font like Arial Black). The biggest influence over the initial set of quilt patterns I’ve published is my personal memories. I take experiences in my life and try to summarize my feelings in an abstract design. My #ReflectiveMomentQuiltpattern is a look at my past, present and future. The pattern is a mirror from top to bottom and left to right. This is reflective of perception vs. reality and owning the life you live. 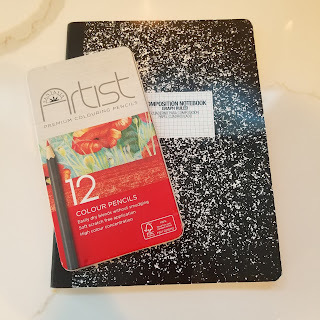 When inspiration strikes, I typically get out my colored pencils and grid-lined notebook. This is where most of my designs take shape. I also enjoy just sketching for fun and sometimes a design comes out of it. The pro for this method is its portability. Going on a long trip? It’s easy to pack and open up a notebook. Inspiration strikes in the middle of the night? It’s easy to grab the notebook and get the idea onto paper quickly. The con is that it’s not convenient to make changes. If I make a mistake sketching, don’t like the color choices or want to see several modifications, I have to manually start the sketch over every time. This process is evolving for me as I’ve started doing some of my sketches directly in Illustrator. It has certainly saved time making modifications, expanding on my ideas and quickly seeing so many color options. I’ll always sketch but some ideas may move more quickly to an electronic version. To make my quilt patterns – both the layout of the quilt design as well as the pattern – I use Illustrator. I think I would like the EQ software from what I’ve read about it, but I’m unclear on how that translates into actual patterns and if I need other software. For now, I’m happy using Illustrator as I’m able to use it for other non-quilting related needs too. While I remember using Illustrator a few times in school years ago, I am mostly self-taught (or re-taught!). It’s certainly taken awhile to get comfortable with the tips and tricks I know so I’d like to continue using this tool at least for now. Once I get the quilt design itself fully constructed in Illustrator, I start building the pattern around it. I have handwritten notes with measurements and instructions so my first step is getting that into electronic format. Then I start filling in the blanks as far as descriptions on technique and other details. Once the pattern goes through testing and feedback and is finalized, I export it into a PDF document and offer it available for purchase online. What is your quilt design process like?